Coffeeyay has built over 14 hours of comprehensive videos covering this new and highly profitable SNG format. In his long-standing role as head coach of the HUSNG.com staking program he took players from playing low stakes to beating the high stakes HUSNGs, and now he’s using the skills he developed to help you beat Spin & Go poker. This unique 3-handed format requires a thorough understanding of position, the effects of stack depth, and solid game plans both pre-flop and post-flop. Coffeeyay has spent 100s of hours playing this game and developing this pack. He’s broken Spin & Go strategy down to an easy to understand format based on the amount of players left in the hand and at the table, the position the player is in, and the previous pre-flop actions (such as button fold, SB raise, and BB call). This video pack for Beating Spin and Go Poker is extremely detailed, beginning with general information about the format including essentials like understanding bankroll management. Both pre-flop and post-flop strategy is discussed for all situations: every position and action imaginable. It deals with large raise sizes, shoving ranges, post-flop play, raised pots, limped pots, 3-way pots, adjusting to the short stack at the table, and much more! Each section has PowerPoint slideshow videos to build understanding. Each concept video is paired with a practical video showing real hands, played by Coffeeyay himself, specifically illustrating that concept. To conclude the package, there is a series of live videos covering different stakes and demonstrating the strategy covered in the pack by applying it to full games. 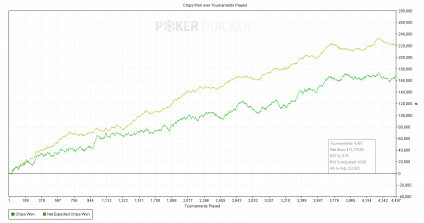 With hours of concept Spin and Go videos, live play, hand examples, range analysis, Nash game theory charts built for 3-way play, and more, this is the most complete high level package that you will find to help you take advantage of the popularity of this new and highly profitable poker format. 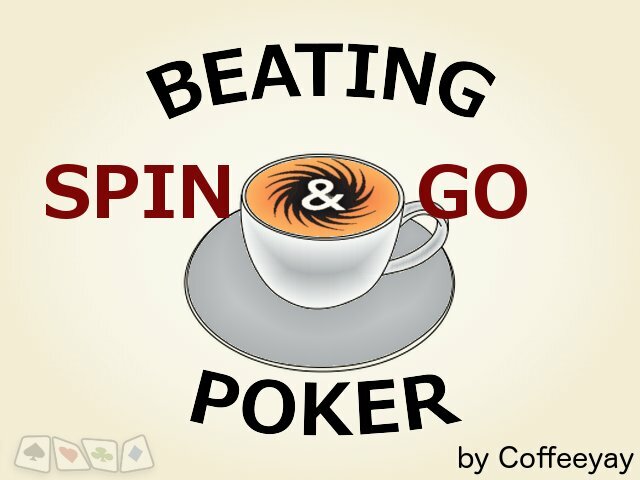 Coffeeyay answers common questions asked about Spin and Go Poker and discusses the content and approach of the video pack. This video covers general information about the game of Spin and Go Poker. It includes understanding variance, detailed bankroll management and strategies, interpreting results and maximizing your hourly. This video focuses solely on the heads up portion of Spin and Go Poker. Guidelines are provided for preflop play at all stack sizes, in depth information on optimal shallow stacked push-fold play, and postflop information on how to construct your ranges in common situations. The video concludes with resources and techinques for further improvement to your heads up game. Discusses your post flop strategy when your minraise is called. Individually examines each case – When the small blind calls and BB folds, when the SB folds and BB calls, and when both the SB and BB call with a special emphasis placed on understanding 3-way play. This video develops the idea of effective stacks for 3-handed play in Spin and Go Poker and the concept of symmetric stacks. Discusses adjustments to strategy for different symmetric effective stackd depths, including 3-handed Nash push/fold strategy. Ends with a detailed approach to adapting button strategy to asymmetric stacks, including adjustments to Nash push/fold ranges. Begins with preflop play heads up in Spin and Go Poker versus a button open, including information on 3-betting (both non all in and all in) and calling. Postflop play after calling is then discussed. Then discusses how to adjust your strategy to stack and depth sizes, as well as large opening sizes. Concludes with information on play versus a button limp. Hands are reviewed of BB playing versus small blind opens and limps. Inlucdes detailed discussion of both preflop and post flop decision making. Coffeeyay plays the $5 buyin “million dollar” spin and go games, and discusses his actions while playing.